We are expecting the last parts early this week and hope to have the kits packaged Wednesday. If you have not provided us your call sign and fox ID # (1-5) for the transmitters, please do this ASAP, please contact Keith Witney ( (604) 475-5254). The current plans are to start distributing kits at the following locations and times. If you are unsure of any amounts owing, please contact Keith Witney ( (604) 475-5254). It'd also be advisable to inform him that you are coming to one of the bellow distribution location. We will monitor 146.52 if you need help finding us. All 80m front and main board populated and tested. All good, ready to go. Earbuds and battery contacts are still on backorder. We have 80m ARDF receiver boards arrived. For the Receiver and Transmitter, we will require a 50% deposit. Delivery is expected to be 2 months. 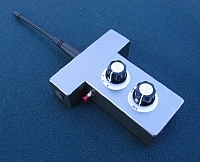 The receiver described in this document was developed by Les Tocko, VA7OM, with assistance from Joe Young, VE7BFK, to provide an inexpensive, simple receiver suitable for use by beginners in Amateur Radio Direction Finding (ARDF). 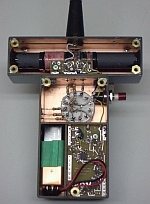 While simple, the receiver performance is still quite adequate for use in formal ARDF competitions. To achieve low cost, components were chosen that were either already on hand (free) or could be obtained at a discount. This choice also meant using a small printed circuit board with very small surface-mount parts so that several boards can be obtained on one minimum-cost board order.